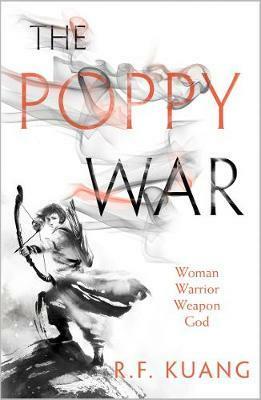 A brilliantly imaginative epic fantasy debut, inspired by the bloody history of China's twentieth century and filled with treachery and magic. When Rin aced the Keju - the test to find the most talented students in the Empire - it was a shock to everyone: to the test officials, who couldn't believe a war orphan from Rooster Province could pass without cheating; to Rin's guardians, who had hoped to get rich by marrying her off; and to Rin herself, who realized she was finally free from a life of servitude. That she got into Sinegard - the most elite military school in Nikan - was even more surprising. Because being a dark-skinned peasant girl from the south is not an easy thing at Sinegard. Fighting the prejudice of rival classmates, Rin discovers that she possesses a lethal, unearthly power - an aptitude for the nearly-mythical art of shamanism. Exploring the depths of her gift with the help of psychoactive substances and a seemingly insane teacher, Rin learns that gods long thought dead are very much alive - and that mastering these powers could mean more than just surviving school. Rebecca F. Kuang immigrated to the United States from Guangzhou, China, in 2000. She has a BA in International History from Georgetown University, and she will pursue her graduate degree in Modern Chinese Studies at the University of Cambridge on a Marshall Scholarship in 2018. Her research focuses on Chinese military strategy, collective trauma, and war memorials.